Today is International Women’s Day. The theme this year is Be Bold for Change. So we have resident history geek and marketing ninja, Kate Cowan digging in to our history to discover what attracts women to hostels in Ireland and how they have achieved change by being bold. 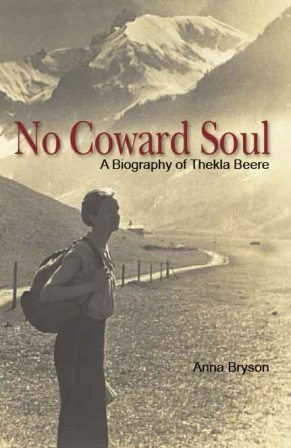 Thekla Beere was one of the original committee that started our organisation in 1931. She stayed involved until the 1980s. Growing up in the early 20th century in Ireland, Thekla used education to get where she wanted to go. A scholarship sent her to America and she returned with a bad hiking bug that only got worse through contact with the wide open Irish landscape. Not content with starting the Irish Youth Hostel movement, she also kicked open the doors of the male dominated Civil Service. She became the first woman to head an Irish governmental department. She learned so much that she became the first female lecturer in statistics in Ireland. When Taoiseach Jack Lynch wanted to create the first Commission on the Status of Women in 1970 he chose Thekla to head it. 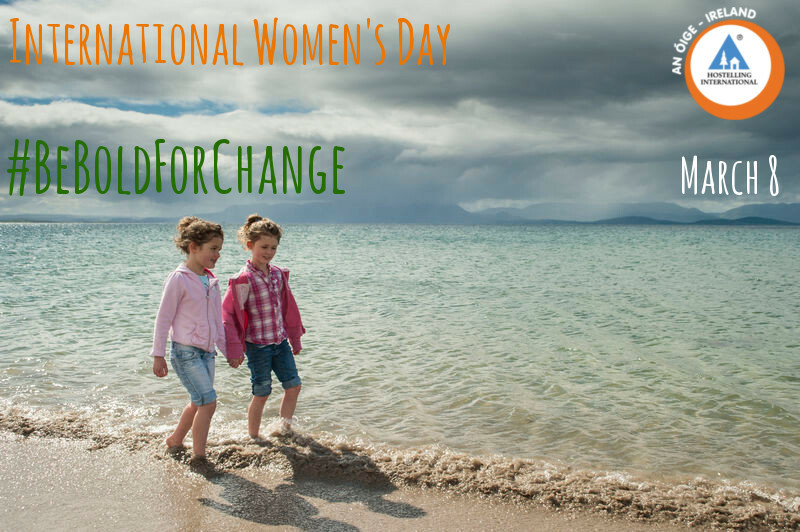 Her landmark report became the charter for Womens Rights in Ireland. Despite the fact that she was mooted for President three times she never went for it but later President Mary McAleese did refer to her as an inspiration for the role. “You would be in awe of Thekla“, said Marie McDonnell, another woman associated with youth hostels in Ireland. If we have questions in our Head Office we usually turn to this experienced volunteer who sits surrounded by old committee reports and archives while organising trips and leaders for hikes. Her first experience of hostels was when a friend persuaded her to cycle to the hostel in Avoca one weekend. She remembers the adventure of it. ” We stopped off and cooked steaks on tiny little stoves. By the time we returned to Dublin it was late and we got in trouble for having no lights on the bikes”. She signed up for a trip to Spain and has been travelling ever since. Like Thekla she joined the Civil Service in the 60s. It was still male dominated and at the time women were often told that they were stealing men’s jobs. Marie dealt with inequality by confronting it head on. She got moved around a lot as a result but she became the first female Higher Executive Officer in her department with 26 staff under her. She credits An Óige with her boldness. “When I joined the executive my first volunteer role was to make sure the wardens were replaced at weekends and on holidays. So hiring and firing was what I was doing. A woman wouldn’t have been allowed do that in the workplace at that time. That gave me a lot of confidence“. 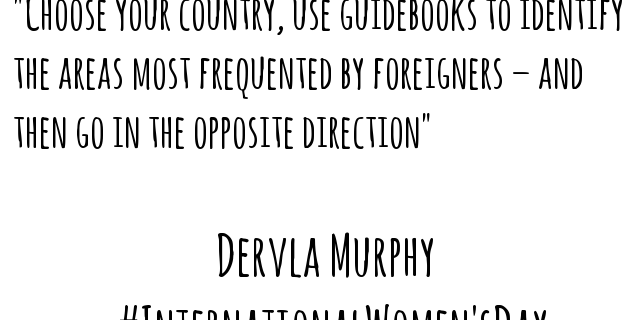 Another woman hosteller from the 60s was Dervla Murphy. 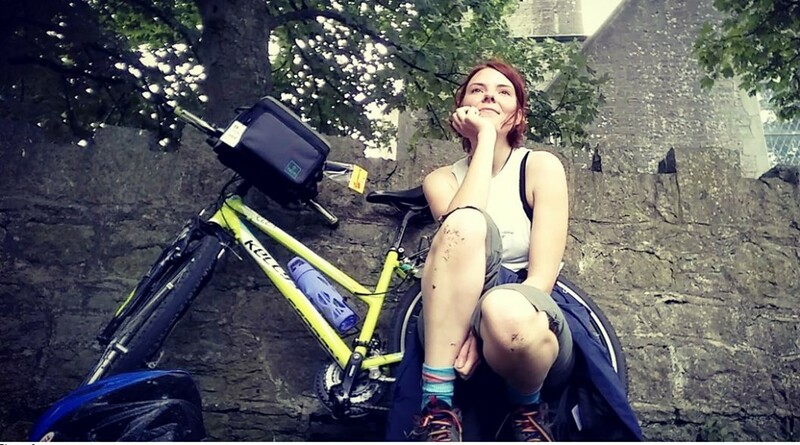 This legendary An Óige woman hopped on a bicycle and cycled across Europe, Iran, Afghanistan and India before taking a break and volunteering in a refugee camp for Tibetan children with the Dalai Lama’s sister. 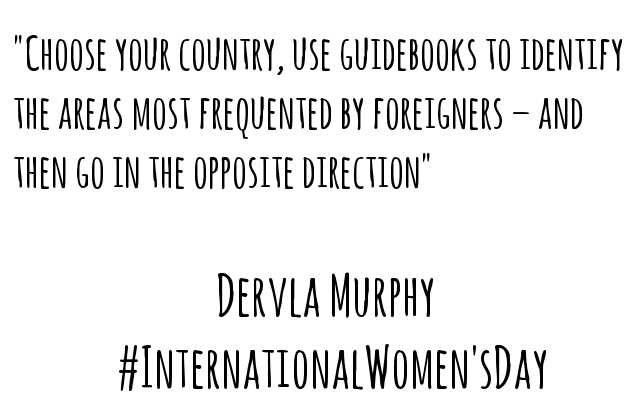 Her travel advice to other young women was “Choose your country, use guidebooks to identify the areas most frequented by foreigners – and then go in the opposite direction.”. Bold as you like. 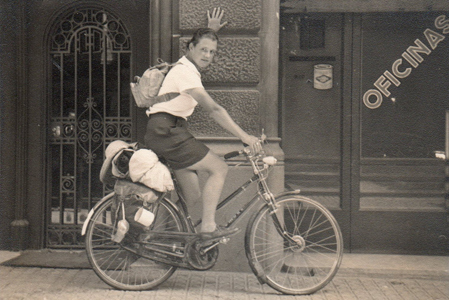 They were the sort of women who inspired today’s young women to use our hostel network and become independent adventurers themselves. They continue to use the calmness and safety in youth hostels to create their own journeys. For them travel is about being their own bosses. A survey on women in hostels revealed that the primary motivation for women to travel is freedom. Rather than being sucked into the fear around travel, women who hostel in our network tend to embrace risk and realise that for every fearful situation there are hundreds of life changing experiences to be had. As an organisation, An Óige has 18 people in management roles throughout our network. Half of them are women. Some like Sam in Ben Lettery, Carmel in Dun Chaoin, Anne on Cape Clear Island and Sinead in Errigal look after some of the remotest hostels in Europe. Dublin is so busy that it takes two women to look after it. Our head office team has eleven people working together. Seven of these are women. Out of our affiliated hostels the majority are ran or owned by women. Those that aren’t usually have women partners working with them. We are part of Hostelling International and we get to share with women from all over the world to help more young women to travel. If you would like to hear more about how hostelling can make a change in young women’s lives, subscribe to our monthly newsletter.